Ma Pi Leng is considered the most dangerous pass in Vietnam. 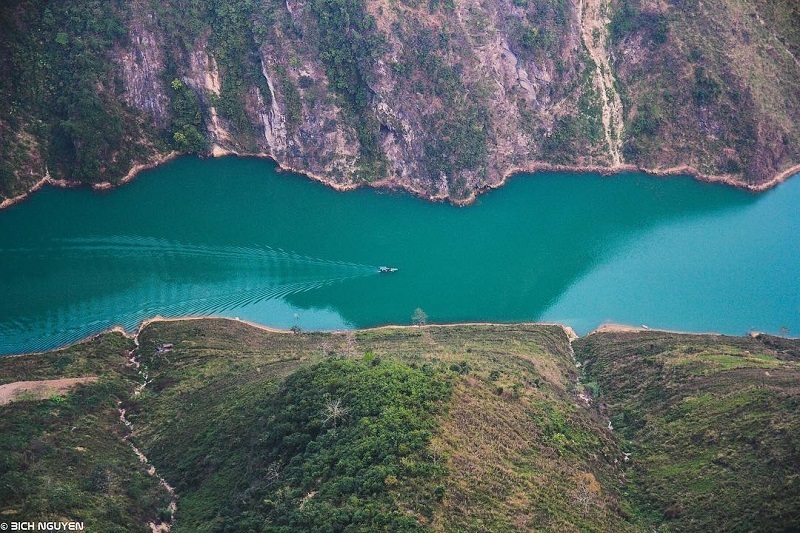 In that majestic natural wonder, the Tu San alley is the highest and deepest in Vietnam and possibly Southeast Asia. 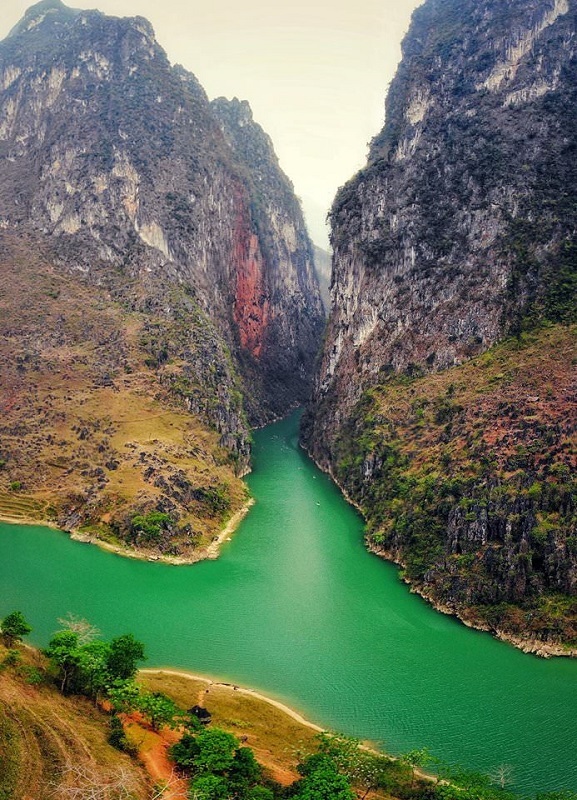 Tu San is considered the "most majestic" with the height of cliffs up to 700–800m, length to 1.7km, depth of 700–900m, is the most spectacular scenic spot of Dong Van rocky plateau region. Tu San is the miracle of creation millions of years ago when this place was still submerged in the vast ocean, in the process of changing the Earth's crust, the water receded, leaving the unique geological heritage until today. So, Where is Tu San alley? Tu San alley located on the famous Nho Que river is one of the deepest alleys in Southeast Asia, located between Dong Van district and Meo Vac district in Ha Giang province. With a height of 1500m, a depth of 700 - 900m, flowing in the direction of Northwest - Southeast, Tu San alley brings poetic beauty, mysterious as the mysterious colored jade thread, hidden in the rugged Northeastern mountain forest. Trails from Dong Van rocky plateau to the Tu San western ravine are vey deserted and winding. With narrow path, a lot of ruggered rock, it makes people scare when contemplateing abyss. However, visitors can enjoy red bombax throughout the rice terraces in the mountainside, back pass and the image of Nho Que River. Arriving in Ha Giang and experiencing all kinds of different emotions when watching the Vietnamese flag flying high on Lung Cu flagpole, or climbing each level to conquer Chieu Lau Thi Thi mountain peak and take a boat trip right on the Nho river Cinnamon, discover alley in the village or drop yourself between the golden terraced fields in Hoang Su Phi, west of Ha Giang. 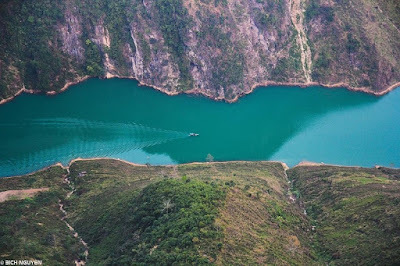 Follow the journey to these exciting experiences and unique activities on Ha Giang tours from Hanoi of Vietnam Typical Tours to feel the mighty and wonderful natural scenery in Ha Giang! It can be a adventure trip but what you see will be a gift worthy of what you have experienced.